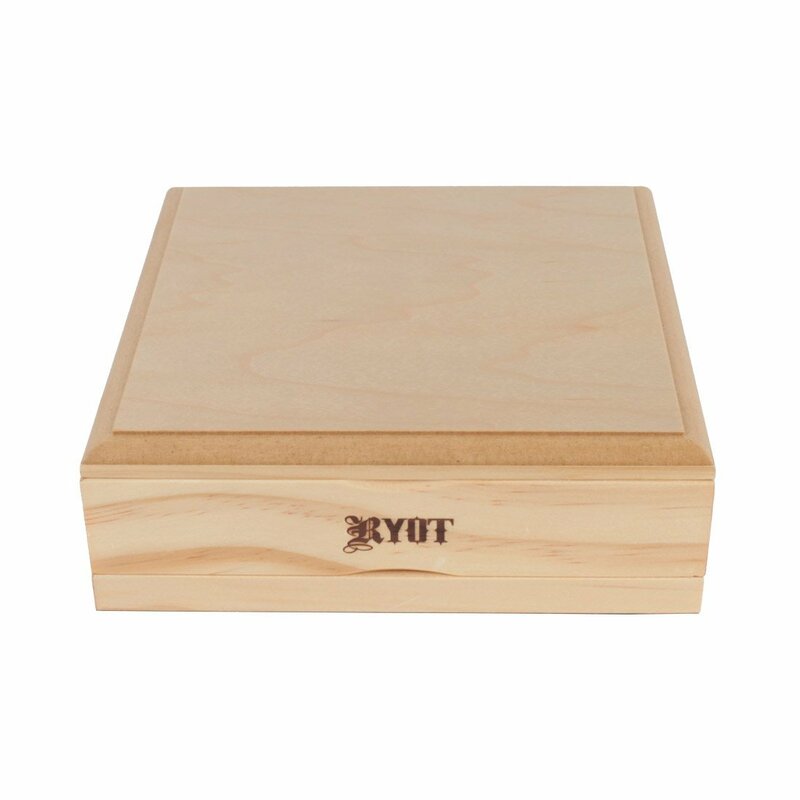 The RYOT Natural Sifting Box 7 x 7 is the perfect product to not only store your favorite herbs and spices but it will also help you to get the absolute most out of your material. 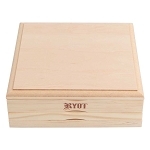 This RYOT SIfting Box is constructed from a quality natural-toned wood that is composed of three different layers, each held firmly together by a strong magnetic closure. 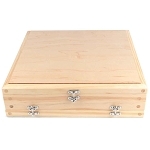 Simply remove the top layer and expose the monofilament sifting screen, this is where you place your herbal blends for storage. The fine monofilament offers greater longevity than your standard stainless steel sifting screen and it will also transfer a higher quality sift down into the bottom storage compartment. An ultra smooth bottom lucite tray collects and pollen that filters through the sifting screen, this tray gives an extremely clear view of how much material has accumulated, leaving you with an extraction process that has never been easier. 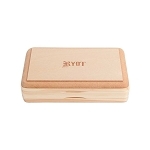 RYOT includes a scraper tool to help streamline the removal process as well as a removable storage divider, allowing you to store and sift different material types without requiring you to blend them together.